Company member Pam Buot and aspirants Clare Egalla, Pia Mercado and Reese Suarez, who started ballet training at ACTS Manila – Southville under the supervision of Director Jan Manlapig, made it to the roster of the ballet show Narratives in Motion staged last November 4, 2018, at the Cultural Center of the Philippines (CCP) Main Theater. 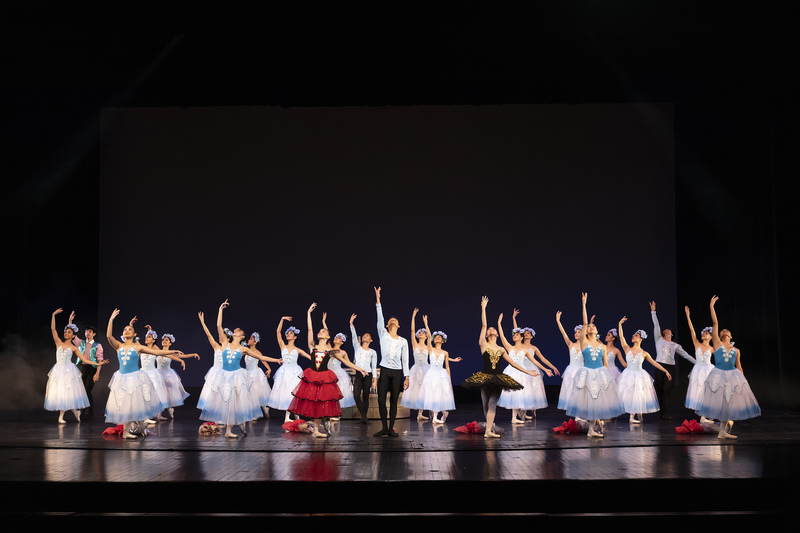 The ballet company scouted talent from its affiliate schools to come up with twenty aspirants and seven company members who presented the show’s message of redemption and new beginnings. Southville International School and Colleges (SISC) has been collaborating with ACTS Manila for the past five years in support of the school’s performing arts program. The ballet students join the recitals conducted annually and participate in local and international competitions. The program is carefully designed to fit the academic schedule of the students with multiple classes each week. For information SISC’s ballet program under ACTS Manila, please contact Ms. Elydia Reyes or Mr. Roman Baluyot at (02)825-2358/(02) 825-6374 loc. 100/ 829-1675 or email us at pr@southville.edu.ph.